Our mission at KBHC is to provide world-class instruction in all areas of the horn. Our curriculum affords campers the opportunity to immerse themselves in a variety of experiences. 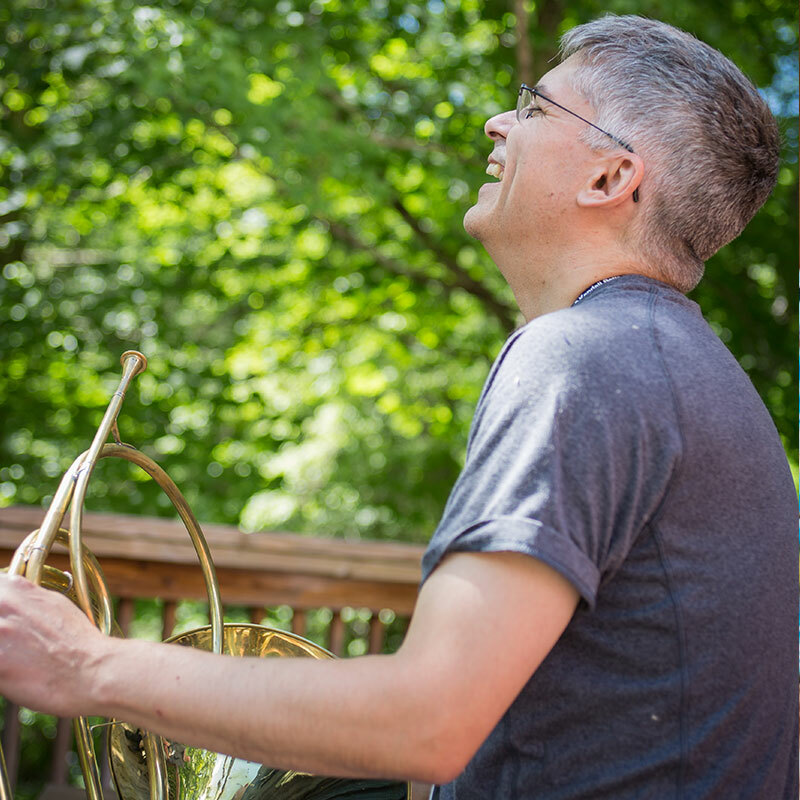 We offer elective courses in warm-up, fundamentals, orchestral excerpts/auditioning, improvisation/creativity, ear training, natural horn, solo performance, Alexander Technique, and yoga. Along with all of this in a given week, everyone will receive private lessons, a private Alexander Technique session, daily warm-up instruction, solo opportunities, horn choir, and the opportunity to perform on the final concerts. With our elective system, campers have the opportunity to tailor their experience to their desires. This ability to tailor the camp experience means that campers can come for different weeks and create a brand new camp experience for themselves each time they return. There is plenty of free time built into the daily schedule that gives campers the chance to explore the beautiful campgrounds. Campground activities include, but are not limited to hiking, swimming, kayaking, canoeing, fishing, tennis, and many other outdoor sports. 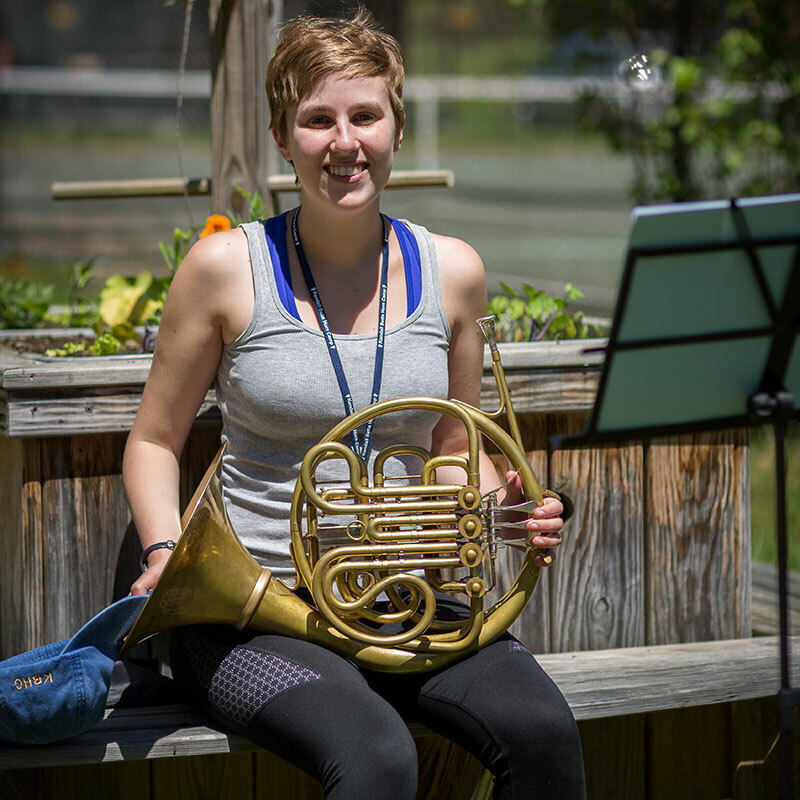 We encourage all campers to take full advantage of the horn instruction and the leisure activities. Acceptance for participation at KBHC for high school students scheduled to graduate in 2019, 2020, 2021, 2022 and 2023 is by qualifying application. 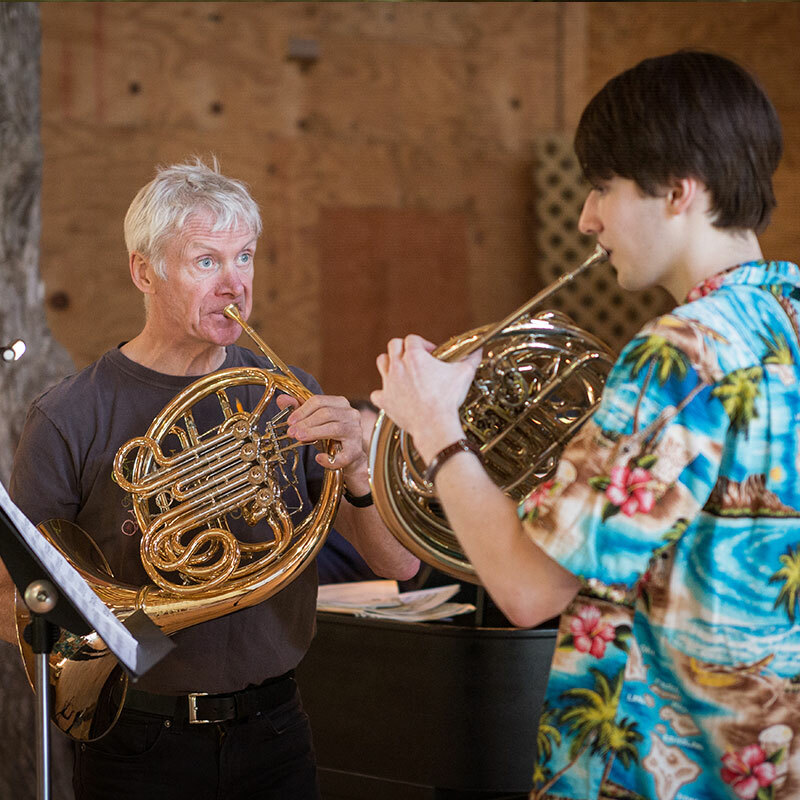 You must be at least 14 years of age as of May 31, 2019, presently in 8th, 9th, 10th, 11th, or 12th grade and currently studying horn privately on a regular basis. Collegians are comprised of undergraduate, graduate and post-graduate students majoring in performance and music education as well as academic subjects. Many of our collegiate alumni have gone on to successful careers as performers and educators. Adult participants are usually comprised of people ranging from 28 to 85 years old. Since there is such a huge range of abilities and experience, adults are assigned into small “study groups” of like abilities and interests.